Finally confirmed then. Sergey will sing for Russia in Tel Aviv and hopefully return to Eurovision with a smash hit. Let us see, the last time a Russian star returned to the Eurovision for a second try was Dima Bilan and the managed to fail to win with a really good song and win with an OK song. 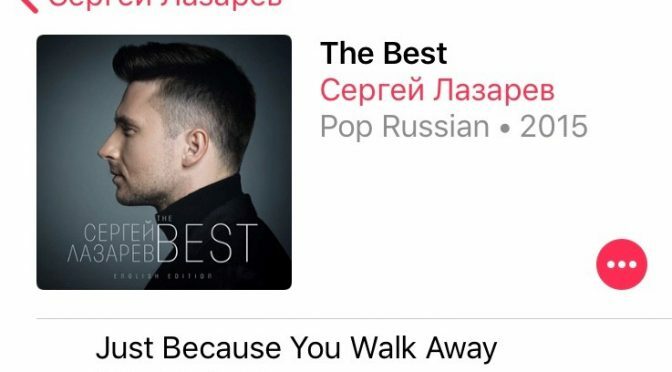 Sergey needs more than a OK song and hopefully the team behind him understands it must be as good as last but not to similar. In any case, I look forward to hear what he will present and in the meantime listen to his albums on spotify or download them.